Pack includes Toby™ Bass, 15 watt bass amp, eMusic™ lessons, tuner, cords, gigbag and more! Epiphone’s Toby™ Bass Performance Pack has everything you need to learn what it takes to be the foundation of a great band, including the critically acclaimed Toby™ Standard IV LE Bass which features the classic Tobias™ ergonomic Alder body design along with Tobias™ TBR™ and TBT™ single coil pickups, full pickup blend and tone controls, and a 24-fret hard maple neck with a smooth, satin finish. Combine that with a new Epiphone Electar-15B bass amp - the only bass pack amp to feature a 10” (not 8”) speaker - and you’ve got a combination guaranteed to move some air and rattle some walls. The Epiphone Toby™ Bass Performance Pack also comes with a cord, strap, picks, a clip-on chromatic tuner, an easy to carry gigbag, and free award winning online bass lessons from eMedia™. The eMedia™ introductory bass lessons offer easy instructional videos that cover rock, blues, folk, country, hard rock, metal and everything in-between. For over a decade, the Epiphone Toby™ Bass has been bringing innovation to modern bassists in both look and sound. 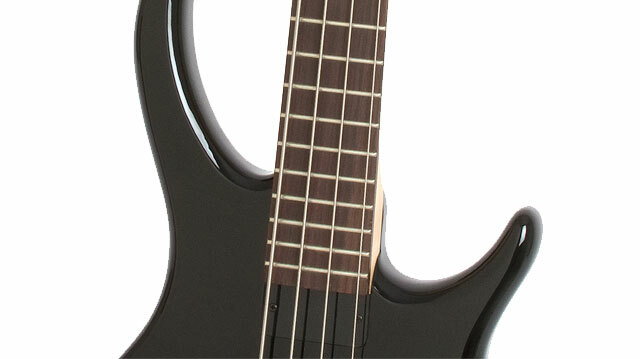 But the Toby™ Bass is not just an instrument for beginners. Like all Epiphones, the Toby™ Bass will hold its own as you go from student to pro. Free eMedia™ guitar lessons, Gigbag, tuner, strap, and more! The Epiphone Toby™ Standard IV LE Bass features a solid Alder body and a flush-mount, fully adjustable bridge. The Toby’s renowned ergonomic body design is both comfortable and perfectly balanced for long hours of rehearsing and performing. The Epiphone Toby™ Bass features a smooth satin neck, which is a bolt-on design with recessed bolts and washers for easy accurate adjustments. The fingerboard features 24 frets (unlike most bass packs that have only 22 frets) for better reach along with cool black chrome hardware and 17:1 ratio machine heads. Over time as you develop your style, the 24-fret satin finished adjustable neck and custom designed Tobias™ TBR™ and TBT™ single coil pickups will give you a range and sonic palate that other bassists will struggle to match. The Epiphone Toby™ Bass Performance Pack also includes a portable Electar-15B Bass Amp with a powerful 10” speaker rather than the typical 8” speaker found in other bass packs. Lower watt bass amps are popular for beginners and pros alike for their ‘just right,’ easy-to-find tone and a power that belies their small stature. In fact, many pros prefer 15-watt amps in the studio. And don’t be fooled by the size of the 10” speaker, which delivers all the deep tone and solid punch that a band needs hear from the rhythm section. 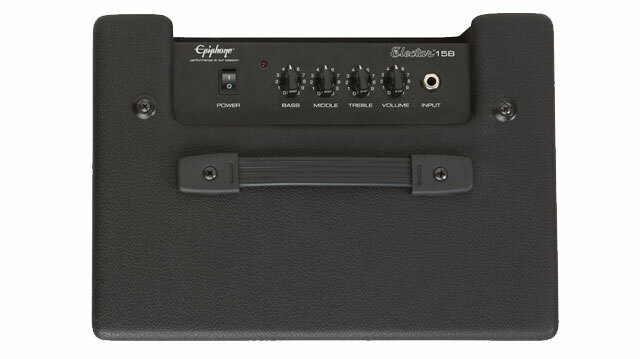 The Epiphone Electar-15B Bass Amp is perfect for recording, playing small clubs, or just jamming around the house. And, the Electar-15B features controls for volume, hi, mid, and low EQ, a standard ¼” input (cable included), 3.5mm stereo aux in and stereo phones out, a ¼” extension speaker out, and a ¼” line out--an array of easy professional options you won’t find in other bass packs. The Electar’s EQ controls allow players to easily find a tone of their own as well as “dial in” any style or era since the Toby’s Tobias™ TBR™ and TBT™ single coil pickups offer supreme tonal flexibility. 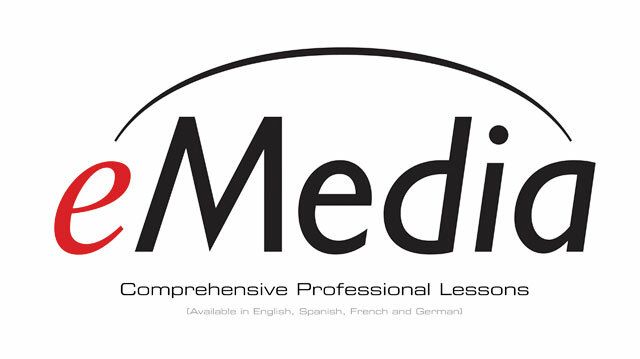 And for new players, eMedia’s introductory bass lessons offer easy instructional videos that expand to full-screen. The eMedia software includes powerful, new interactive feedback on melodies and a full complement of helpful tools such as the new Note Tracker and Finger Tracker, which show you what you’re playing in staff notation and also on an animated fretboard. This amazing technology tracks your progress through the song as you play! Songs and exercises can be heard either as live-recorded audio or as MIDI tracks that you can slow down or speed up. For 140 years, Epiphone has been a leader in creating innovative bass designs and crafting fine instruments that anyone can afford. A band can’t make it to the top without a great bass player—and now Epiphone has made it easy for you. Everything you need to begin playing bass is right here! Make your own history today and experience the Toby™ by Tobias™ difference with the Toby™ Bass Performance Pack from Epiphone.